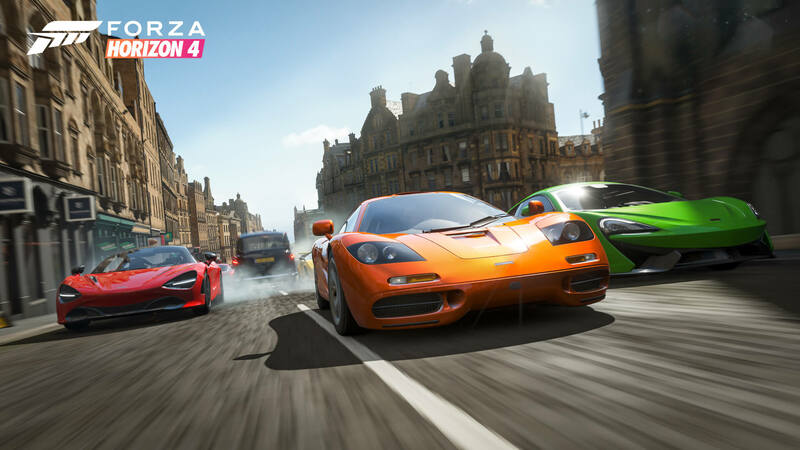 Forza Horizon 4 is the first entry in the racing series to deliver a shared open-world with up to 72 other players. Past titles have utilized the cloud-powered Drivatar technology to deliver AI drivers that were designed to race similarly to those of your friends and the wider online community, featuring their associated Gamertags, as well as their favourite cars and paintjobs. However, Forza Horizon 4 takes things a step further by replacing these Drivatars with real, actual people when playing in the shared open-world experience. What makes Forza Horizon 4’s shared world so special and unique, however, is the freedom and choice it gives to players. Should you not want to drive with other players constantly, you can instantly switch back to an offline solo experience at the touch of a button from the pause menu. This will replace real-world players with Drivatars, offering an experience that’s like Forza Horizon 3. Furthermore, if you’re disconnected from the shared world – you won’t be booted back to the main menu, nor will you lose any progress. Instead, you’ll simply carry on racing, driving or exploring as you were before – with all the real-world players seamlessly swapped out for Drivatars. It’s a fantastic, elegant solution to a problem that has plagued always online racers like The Crew and Need for Speed. Plus, Forza Horizon 4 doesn’t even require an internet connection – the entire game can be experienced offline. Developer Playground Games has considered all the caveats when it comes to a shared open-world experience in Forza Horizon 4 – and has worked around all of them by implementing simple, yet brilliant solutions into the game. For example, there’s a lot that could go wrong by having 72 players in the one world, especially if they love to constantly crash or troll other drivers. That won’t be the case in Forza Horizon 4, however – as drivers which aren’t your friends will be simply ghosted. They won’t appear fuzzy or invisible, but they will drive right through you. Should you want to enable contact and collisions, then you can simply form a Convoy and invite drivers from your session to join it – which is great for tandem drifters, those who want to play their own mini games in the open-world, or those who enjoy a little bit of contact action. You’ll also be able to capture your favourite moments from online play with the Drone Mode, returning from Forza Horizon 3, as well as Photo Mode – which can be used in online play for the first time in Forza Horizon 4. Should you want to take a quick snap of your car parked alongside other players’ vehicles, then either of these options will be a great way to do it. Using Photo Mode, you can remove unwanted cars from other players in your image should you desire, and you can easily upload and share these for the entire community to view. Rewind is another feature that also now works in online play. Whether you’re free-roaming or in a race, you can rewind your car back should you have accidently gone the wrong way, missed a checkpoint, or slammed into a tree or another car. This won’t impact other players or the overall race itself, it only affects your car and your driving position in an event. There’s also a new Quick Chat feature available in Forza Horizon 4. This allows players to communicate with each other by using their d-pad or keyboard without the need of a headset. Not only will this be great for shy players, but also those who want to quickly and easily inform others of different things. Say you want to compliment another player’s livery or ask if they fancy some drifting. It’s a fantastic addition to Forza Horizon 4 – and it obviously cuts out any toxicity between players and promotes civilized interactions whilst enhancing the level of personality in the game. When you use Quick Chat, a little chat bubble will appear above your car – and this will be visible to everyone who’s beside you in the shared open-world. Whether you want to share some advice, suggest an activity, compliment another player, or just have some general chitchat, this is an incredibly welcomed addition to Forza Horizon 4 and it’s also a great accessibility feature that everyone can use and enjoy. Forza Horizon 4’s shared world extends beyond players, however. Seasons will always be synchronized for everyone in the game, whether you’re connected online or offline. These will change once a week, and all players will be racing the same seasons as each other. Those in the one shared world will also enjoy the same time-of-day and weather conditions too, which further extend the level of realism in Forza Horizon 4. Obviously, the weather will be heavily dictated by seasons, with sunshine most frequent in Summer, periodic rain showers in Spring, and snow-covered landscapes in Winter. Whilst the seasons, weather and time-of-day can be customized in Horizon Blueprint events, these will otherwise be shared when playing in freeroam. Speaking of Horizon Blueprint and customized events, Forza Horizon 4 introduces its own Route Creator – a first for the series. This tool will allow players to create their own races with custom checkpoints placed around the map, and these can be shared online for the entire community to discover, download and play with their friends. New challenges are also seamlessly deployed into Forza Horizon 4’s shared world with the new Forzathon Live system, which brings the community together and allows them to cooperate to complete different tasks and accumulate a score to unlock unique rewards. These challenges occur on the hour and promote teamwork, consistency and skill. They are synchronized worldwide and start for all players at the same time. When Forzathon Live is available, you’ll see a blimp in the sky above you that you’ll need to follow to complete the various open-world challenges it proposes. Forzathon Live will have 3 stages that increase in difficulty, and everyone in the session will have a set time to complete the given objective. What’s great about this is that everyone earns the same reward and can spend ‘Forzathon Points’ to unlock new cars and customization items from the Forzathon Shop. Players can also decide how they compete in events scattered throughout the open-world of beautiful, historic Britain. You can race them solo with Drivatars, in co-op with your friends, or PvP with other players in your shared world. For these events, you’ll be placed into a parallel server so random players cannot interfere with you or other competitors – and following the race, you’ll seamlessly return into the shared world. This allows you to play Forza Horizon 4 as you desire, whether you want to play in solo or co-op – or compete with the wider online community. Speaking of competitive play, there’s a new team-based mode in Forza Horizon 4 that has been inspired by this called Team Adventure. This mode, which succeeds the Online Adventure mode from Forza Horizon 3, focuses entirely on the racing. Driving with style and pulling off skill chains will no longer provide players with an advantage as this one is all about working with your teammates and competing to the best of your ability. Playground Games have been highlighting this mode alongside the shared open-world experience of Forza Horizon 4 at Gamescom 2018 this week, and as you can see, they certainly go together. Team Adventure promotes competitive spirit through its new team-play options. You can set a name for your team and even make a dedicated badge that will show up in-game. You could even take things a step further and have matching team outfits and emotes set to your characters to show off your identity and how seriously you take the mode. 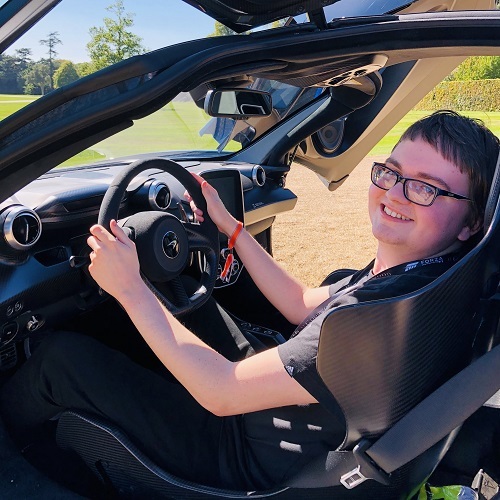 Obviously, you don’t have to go to these extremes and can totally just play for fun, but should you ever be feeling competitive with your friends, this is a fantastic way to start up a team and create some competition within Forza Horizon 4’s online scene. 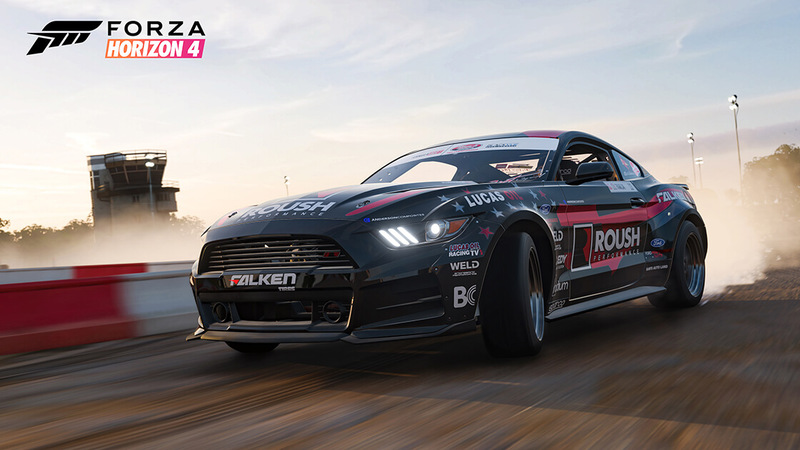 Who knows, maybe some of the top drivers around the world in Playground’s racing game could get together and eventually rise the ranks to further expand their skillset – evolving to compete on Microsoft’s premier racing esports series on Forza Motorsport 7, the Forza Racing Championship. It’ll be fun to see how it all goes once Forza Horizon 4 launches on October 2nd. 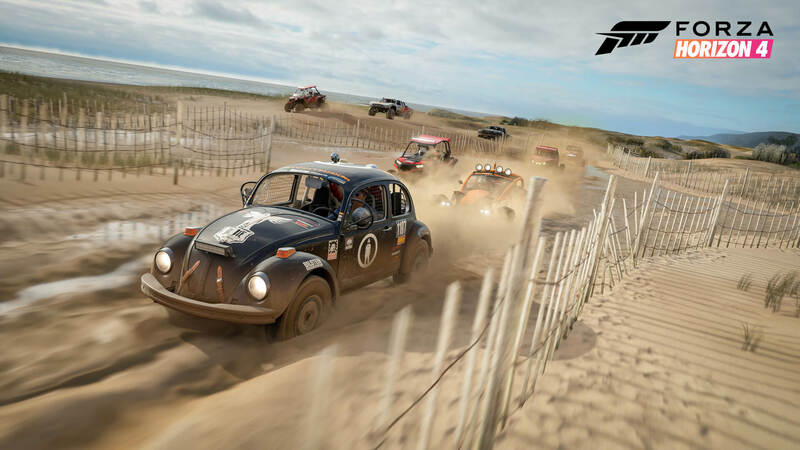 There’s also Leagues integration within Forza Horizon 4’s Team Adventure too, with the first four-week season beginning when the game launches. These will be timed events like in Forza Motorsport 7, and they’ll be open to all players to compete in to unlock in-game prizes and rewards. 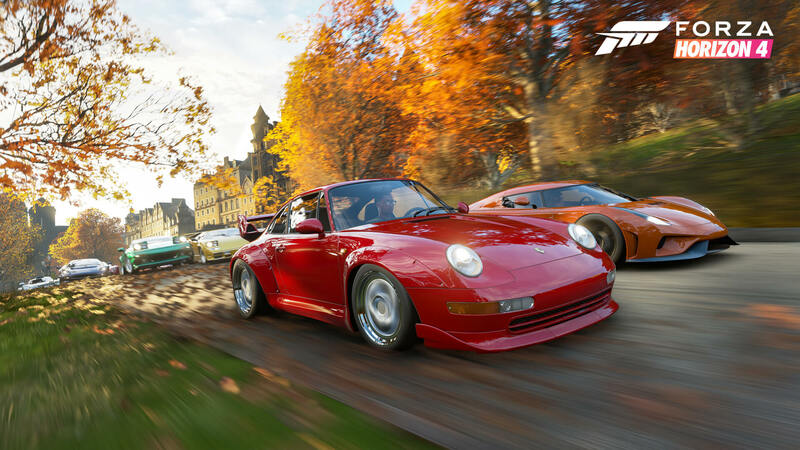 Playground Games spoke of an elusive ‘Grandmaster’ league rank that players can aim for in Forza Horizon 4, which will feature the most skilled, talented and competitive drivers. Because Leagues are all about the racing, your position and cooperative team-play – it means only the best of the best will be reaching this special milestone. Team Adventure also features multiple modes too, all of which will be available at launch. These include one that’s focused entirely on racing alone, another that exclusively features mini-games, as well as one which combines both racing and mini-games together. There are also ranked and unranked variants of all these modes, too – with the ranked variations always offering 12-players in the lobby via skill-based matchmaking. When competing in Team Adventure, your car choice is incredibly important because you cannot change it in-between events. Each Team Adventure is made up of multiple races and mini-games, and some of these can include off-road courses, so it’s important that your vehicle of choice is up to scratch and ready for the events at hand. Whilst the standard on-road and cross-country races are featured in Team Adventure, there’s also two new modes to look forward to – and these include Freeroam Rushes and Survival. Freeroam Rushes occur in-between the main events, and they count as a race of their own, but with a twist – there’s no checkpoints. It’s up to you and your team to figure out the best route in what is essentially a race to the start line of the next main event. World knowledge will be key from Freeroam Rushes, and seasons will naturally change the best routes available to take. The more you know the map and its different nuances, the more of an advantage you’ll have in Freeroam Rushes. As for Survival, think of this as Team Infection. There’s one team of zombies, and another team of survivors who must try and not become infected from the undead horde. Zombies are marked as green on the map, whilst survivors are purple – and in a twist to the usual formula, survivors marked as orange on the mini-map have been infected but can be healed if a teammate tries crashing into them. This adds another twist to Survival that can change the overall flow and outcome of a game. There’s a total of two rounds in this mode, and the second one swaps teams – which means the survivors of the last round start as zombies, and vice versa. The winning team is the one with the longest overall survival time. Because it’s a team-based, the new Quick Chat feature works wonders here and can be used to communicate with your teammates should you need any assistance. 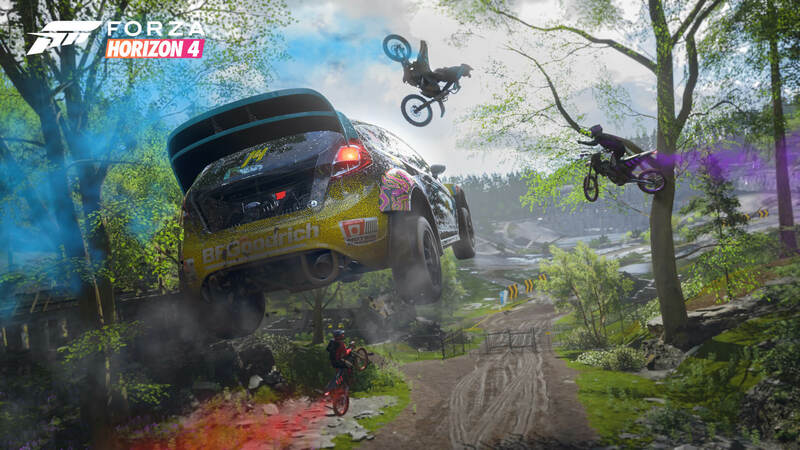 Overall, Forza Horizon 4 is a game that Playground Games has designed and built for everyone. With so many different player types, styles and tastes, it’s important the developer curates its shared-world experience for everyone. Whether you want to explore beautiful, historic Britain by yourself with Drivatars in solo play, take on the campaign mode with your friends in co-op, explore a rich, densely-populated world with up to 72 other drivers in the ‘Horizon Life,’ or compete on the global leaderboard for your chance at the ultimate in-game bragging rights with Team Adventure and its skill-based Leagues integration. Live the Horizon Life your way by acquiring your favourite cars and houses, purchasing businesses and completing jobs, crafting elegant designs and tunes, completing festival events and street races, and more – all of which contribute to your progression within the game and allow you to unlock new cars to drive, properties to own, clothes and emotes to personalize your character, and more, much more. With real people always populating your world, should you not opt out of the shared experience, there’s going to be a level of colour and vibrancy that’s unlike anything in past Forza Horizon titles. Be it other drivers out on an adventure, completing races or simply following you around the map as they try to keep up, there’s going to be a lot of unique opportunities and experiences created around Forza Horizon 4’s incredibly special online capabilities. This isn’t about forcing players into an online environment, but rather introducing more personality into the game whilst also giving players more opportunities to socialise and meet new friends. With Forza Horizon 4 also launching on Xbox Game Pass day-in-date with the worldwide release, I can only imagine how densely populated these shared worlds will be. It really is something special, and I can’t wait to experience it all myself once Forza Horizon 4 releases on October 2nd, 2018 for Xbox One and Windows 10 PC.